Lots of good things for do it your self people ,thanks. how good is the Clymer manual? Updating for the record... 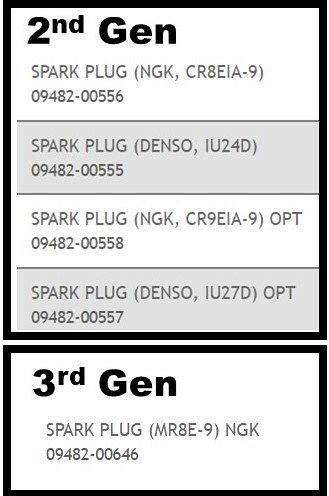 The 2017+ 650 comes with standard plugs, not iridium (NGK MR8E-9). As of now, available at dealerships only in the US. No aftermarket or iridium cross reference. Last edited by brock29609; 02-20-2019 at 12:45 PM.